SCRANTON – A Schuylkill Haven man is suing his former employer claiming that he was terminated because he filed a workers' compensation claim. Michael Gilbert filed a complaint on Dec. 7 in the U.S. District Court for the Middle District of Pennsylvania against Honeywell International Inc., alleging unlawful termination. According to the complaint, Gilbert was hired by the corporation in 1989 and worked for the defendant until his termination in 2014. Gilbert allegedly suffered a work-related injury, which required medical attention, on May 6, 2014. Following the injury, Gilbert was put on restriction at work for medical reasons; and on May 14 allegedly was suspended from work while an investigation was underway in regards to his injury. On June 4, 2014, the plaintiff was still on suspension and was fired as the defendant allegedly accused him of not following the proper safety protocol, which Gilbert claims is false. The plaintiff is suing the defendant for his alleged unlawful termination and accusation. 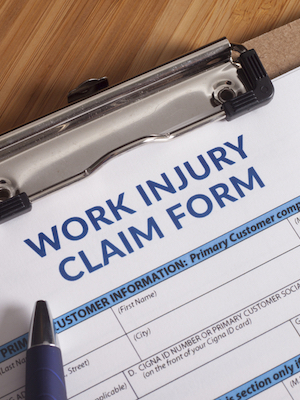 Gilbert is seeking compensation for all lost wages, opportunities, benefits and legal fees. He is represented by Marc E. Weinstein of Weinstein Law Firm LLC in Trevose.